Are you looking for the best general contractors in Southampton? For high-quality construction, refurbishment, and decoration, look no further than Acorn Building Contracts. We offer a great range of services which can transform your property to make it the dream home you have always wanted. If there is an improvement you would like to make on your property, choose Acorn Building Contracts, the finest general contractors Southampton has encountered. Over the years, we have improved the appearance and functionality of many domestic and commercial properties with our superb Southampton general contractors service. The breadth of our expertise is such that we can transform any aspect of your property from the driveway to the roof, and every room in between. Do you wish to expand your living space? If you need a larger kitchen or an extra bedroom, do not jump to put your property on the market. Our Southampton general contractors can design and construct extensions that blend in perfectly with your existing property. Before construction begins, we can talk you through all of your materials options such as bricks, roof tiles, and windows so that every part of your extension is unique to you. If your property’s interior needs updating choose our general contractors Southampton plastering and decorating service. We will move all furniture in preparation for the work, and provide covers and dust sheets to protect your carpet and belongings during the process. Additionally, all ceiling, walls and woodwork will undergo the correct pre-decoration treatments to ensure they are smooth and well prepared for the impending work. As well as renovating your property interiors, we can make sure that the exterior of your property is of the same impressive quality. Our general contractors in Southampton have the skills and machinery needed to complete all types of groundwork from driveways to hard landscaping, drainage and much more. We only use the best materials on the market to guarantee premium looking result that is reliable and long lasting. For more information about our groundworks service, click here. What makes us the best general contractors Southampton company? 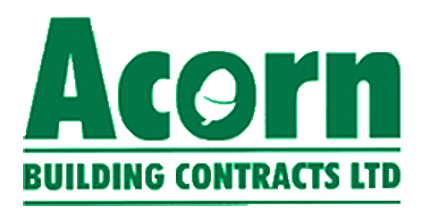 At Acorn Building Contracts, our team of general contractors in Southampton have acquired over 25 years of experience in construction and property renovation. Every member of staff is trained to the highest standard, and possesses all the relevant qualifications to safely and professionally carry out the services that we provide. Every project is specially planned to suit your specific needs so that the result is a perfect representation of the ideas you had in mind. As a Check-a-Trade approved general contractors Southampton company, we always strive to exceed the expectations of our customers. We believe it is this work ethic that has helped us earn outstanding reviews for our workmanship, courtesy, and reliability. Not only do we meet every deadline that is set, but we work in a tidy and considerate manner to cause minimum disruption to your family and neighbours. No matter what the nature of your project may be, our general contractors will work in compliance with the latest health and safety regulations. Clients have the peace of mind that Acorn Building Contracts is fully insured and that our work is regularly audited to ensure that it maintains the high standards our customers expect. You will also be pleased to hear that a great deal of the work that our general contractors in Southampton receive comes from the recommendations of previous clients. We are proud to be the most fairly priced general contractors Southampton has to offer. All of our services are competitively priced, and we make sure that there are no hidden costs in your final bill. Feel free to ask one of our Southampton general contractors for a free quote and you will see just how affordable our prices are. 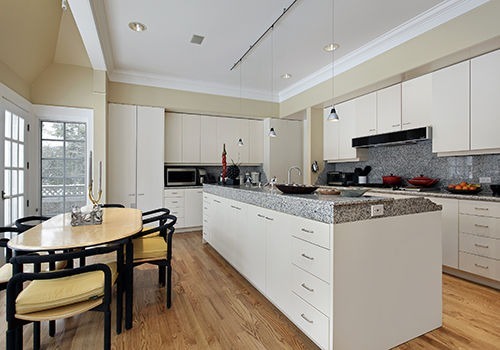 See some of the work that our general contractors have produced for previous customers in our gallery. Find out how our general contractors in Southampton can help you by calling 023 8024 3336 or email us at acornbuilding@gmail.com.